The 4 Star Everglades Hotel has an unequalled reputation as the North West's foremost hotel for grand occasions and events. This unique venue makes a profound impression on guests and conference delegates alike. The hotel boasts the state of the art Keys Conference Centre and car parking facilities for up to 200 cars on site. Conference facilities also incorporate the North West's largest function room, the Fort Lauderdale Suite, which has its own private entrance making it an ideal venue for many types of indoor events such as Fun Casino Nights, Indoor Team Building and Christmas Events. 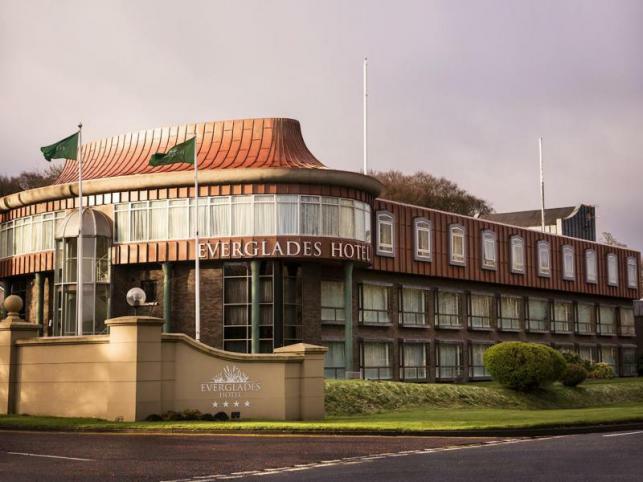 The magnificent Everglades hotel, situated on the banks of the River Foyle with superb views across the City to the Donegal Hills, is the ideal base from which to discover the 17th Century walled City of Derry. The Everglades remains one of Derry's leading 4 star hotels and is within 5 minutes drive of the City centre. Take time to sample the delights of Derry old and new - from the nightlife and shopping to a range of cultural heritage sites.